Myanmar’s election results are in – last Sunday’s elections have resulted in a historic victory for Aung San Suu Kyi’s party, the National League for Democracy. The election commission announced this morning that the NLD has won 37 additional seats, giving it a majority in Parliament. This election marks a transition from military rule to civilian rule, but questions remain around what interventions – if any – the NLD will make around the ethnic cleansing of Rohingya Muslims in Myanmar, the corporate land grabs taking place throughout the country, and upcoming decisions about damming the Irrawaddy River. As more writers of color break into mainstream television, movies, comics and games, we’re beginning to see a shift in the perspective from which stories are told. 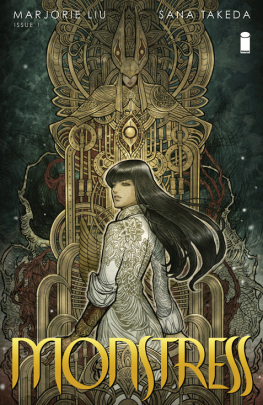 Instead of centering white male saviors who swoop in to save the day, today’s protagonists are super-sheros like Maika from the new Image Comics series, Monstress. Monstress chronicles the rise of teenage girl who sets out to avenge her mother’s death in the aftermath of brutal war, and in the process, grapples with the powerful monster that’s growing inside of her. The story contains many familiar elements – rugged individualism, magical super powers, epic battles, and worlds inhabited by many different species. So what’s different about the stories that are coming from writers of color? In revolutionary Cuba during the 60s and 70s, the government implemented a series of cultural policies that shifted the relationship between cultural workers and society. The goal was to use culture as a means of building revolutionary consciousness, and ultimately as a way of creating a society that prioritizes not just economic liberation, but also human happiness.